We expect that everyone and their Duck Hunt Duo has now seen the Super Smash Bros. Ultimate World of Light trailer (you know, the one where all your favourite cuddly Nintendo characters got obliterated in murderous beams of light, forcing you to snuggle up to your loved ones thanks to the pure stress and heartache of it all). Well, if you have seen it, you might be wondering why Kirby was the only character chosen to survive the Nintendo apocalypse. That conundrum has now been answered. "We needed a solid, convincing reason for why said character could outrun Galeem. All fighters possessing “normal” abilities were immediately disqualified. Given that its assault enveloped the ends of the galaxy, only a vehicle that could defy the laws of physics would work. Even short-distance teleportation wouldn’t be enough. Some of you may have forgotten, but Kirby’s Warp Star has been able to, y’know, warp since his very first game. That alone made him a pretty solid contender. The only other two fighters that could have survived would have been Bayonetta or Palutena. That said, Bayonetta’s enemies from Purgatorio (a hellish other world) were turned into Spirits, so it wouldn’t have made sense for her to escape. Other divine beings like Hades were also turned into Spirits, so there was no way Palutena could have survived, too." So, as it turns out, being the only one capable of using a Warp Star really has its benefits, but there are others reasons why Kirby was the chosen star, too. As you may be aware, Kirby's survival makes him become the first playable character in the World of Light mode. 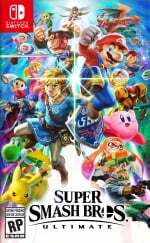 Sakurai reveals that it was important to make this first character be one that is "simple and easy to use", allowing players to ease their way in to the gameplay. Forcing players to jump right in with Bayonetta or Palutena would have made things unnecessarily difficult so Kirby was the natural choice. If you'd like to read the rest of the column's English translation, you can find that here. Are you looking forward to joining Kirby in the World of Light adventure? Feel free to share your current hype levels in the comments below. Seems like a fair reason to me. I love that there's a logic to this when no one was really asking for it. Yeah, some people had theorized both of those reasons: Kirby is the only one that can warp, basically ceasing to exist for a while, sparing him from Galeem's omnicide... And he's simple to play as, ideal for starting players. Is Kirby really the only character that could have survived? Do I smell a game theory coming up? Good thing Kirby had a warp star or else the answer would have been, "No one could of survive the onslaught so we cancelled the game." "Kirby was the only character that could survive these very specific set of requirements that I created." Yeah, it was still favoritism.......and the need to start with an easy character. Does it really matter? It's just a silly video game story. I think Kirby is a fair pick since he is easy to use, he even has his multiple jumps to help those who may still have trouble adjusting to using up-b as a recovery tool. @Zimon Bayonetta and Palutena? It's in the article. It should have been Wario. Pre order canceled. I love the fact that Sakurai-san actually thought this out. I feel like he had a meeting about this. lol. Random programmer: Link should survive Sakurai-san! @Expa0 Considering you just explained why you think he is a fair pick, I think it's safe to say that - yes - it does matter from a design standpoint. Does it really matter to the story? Probably not, since they could have made the story whatever they wanted to suit any character. You all knew Kirby's looks are deceiving. He's bad to the bone. Thank god he's not an evil character. We would all be dead by now. I just appreciate that he’s considered a softer, weaker character and yet he’s the only one to survive it. That’s always a story trope I appreciate, the little guy overcoming when nobody else thought they could. Hmm maybe they could of had all three survive (Kirby, Bayonetta and Palutena) instead of one, but oh well I suppose it is reasonable. Makes sense to me, he is the only one that could travel outside the blast area. And from a design angle, Kirby is a great starting fighter. His weight, recovery, and versitile move set are well balanced. @Aneira American eyebrows kirby....Nintendo accidentally told the world of the pink puff's power. Now Sakurai-san can't hold him back. It makes sense. The star makes Kirby really the real one to fight this battle. However, I still believe it is a tribute to Iwata since he is associated with Kirby as well. Whether it's intentional or accidental. Since I'm a Kirby fan anyway, this will be a fun mode to play! @Aneira Reminds me of Brentalfloss’s take. There goes the fantheory that Shulk communicated his futurevision to Kirby in a meaningfull glance so that Kirby could save himself in time. I'm sorry, I seem to have walked into yesterday's news. @Snow-Dust warp pipes cannot just materialize. And Mario still travels through the warp pipe normally as evident by Super Mario 3D World so he's still vulnerable. Link still takes time to warp, via Sheikah Slate or Ocarina. It's not instant. @Jayvir Kirby don’t just pull a warp star out of his pocket either, he needs to find it at certain levels. @Aneira Thank heavens he's on the right side, or there'd be no place to hide! But he designed Galeem himself so... he designed a villain who only Kirby could survive from. And then he's telling that it isn't bias? C'mon Sakurai. We know you are biased, at least admit it. This explanation is a load of nonsense. I think it's more about optimisation. When you look at the situation with the "eye of a developer", you get instantly that Kirby is the simpliest 3D Model of all because of its shape. It's the easiest way to go in terms of performance. Kirby is an infant of a race of eldritch gods who, if you mind the lore, are cosmic horror entities that Lovecraft would have loved to ponder over and Kirby, in more than one occasion, has taken on galactic level threats. The warp star is just one of Kirby's many tools of the trade to use in his adventures. If there's anyone that can defeat Smash's current threat, it's Kirby. And the lore agrees with me. It would be more head scratching if it WASN'T Kirby. It is likely a mix of both. Sakurai created Kirby to be easy for new players, hence why he is easy to play in Ultimate and other smash games. He also knows the inner logic to the Kirby world due to creating it. So, Sakurai knows the most about his precious pink baby so his logic is completely plausible. It only makes sense here. Thanks, as usual, for clueing us into the "real reason" (i.e. something you just invented). The community thanks you for your diligence in exposing what is clearly part of the larger Nintendo conspiracy to spin their basic, simplistic "optimisation" into an actual story-related point. We should never allow the global juggernaut to continue to force-feed and oppress us with such favoritism towards a cute, pink, fluffy thing, and call them out for the charlatans and devious fiends they truly are. Thank you, comrade! So... It was bias, right? I don't care, I think Sakurai deserves to do whatever he wants as long as it's fun. @Cobalt Which university did you get your Computing degree from to make such a claim? Honestly, I doubt you would have thought that you could have just made something up. Personally, as someone studying Software Engineering, I think that you're speaking completely nonsense but I'm genuinely interested as to your reasons why you think that you're right. It had to be Kirby, he's the only one among us who does not subscribe to mortal law. He will devour you whole and copy from you what he deems useful, He will ride in the heavens on a star if He wishes. He is alone in this world, a God, not confined by form or physics or nature. @Cobalt I can't wait for your game build to prove these facts. It's almost as if this has all just been made up. Basically what Lockstin said on Gnoggin. Except you unlock other characters as you go, and I wouldn't be surprised if you could replay any fight with them. So it's not because Kirby is the most “optimized“ game performance-wise. I don't really care about it, but I don't see why he would go this far to justify it. People complaining about favoritism will continue to do so, and the vast majority of players will just chuckle at it. I mean, it would be very simple to change how the attack work to fit with another character (for example, ROB being immune to becoming a spirit, since it's a robot or teleport being jammed but sonic still being able to outrun it, etc). 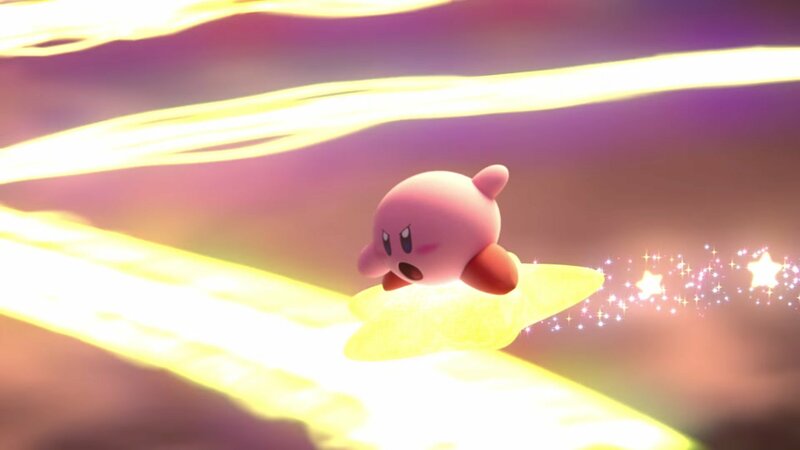 Even if they decided to save an powerless character, they could still have made others combine their power to make a way out and protect each other (but only the survivor crossing it successfully in the end), which would make them not look completely powerless with the sole exception of Kirby. So, they decided Kirby would be the survivor and molded the story around it. @Cobalt A matter of optimization?? “Eye of a developer?” 🤦🏼‍♂️Normally I sit quietly on the sidelines, but I had to pipe in on at this faux authoritative statement. I’ve had a hand in the development as a modeler and texture artist on a few indie games and you’re trying to say this a performance choice?? A matter of polygons?! Your elitism would only partially reek if you actually knew what you were talking about, but your comment this time is completely revealing. I mean, Kirby is absolutely the character that makes the most sense. I've been saying for years that Kirby is canonically Nintendo's strongest character. @Ryu_Niiyama https://imgflip.com/i/2nqtvp I got you, fam. Anyone could have been the "chosen one". You can always write the scenario in such a way that it accommodates whoever is chosen. Makes sense. Though I do wonder if the same argument could be used to explain why Kirby couldn't outrun the blast too. Its not like every character wouldn't have access to items, right? TLDR; Because Kirby master race, that's why. -Sakurai. Nice cover story he came up with though! Cant Rosalina um you know... FLY INTO A FAR AWAY GALAXY? @westman98 he’s French what do you expect? Kidding aside, he’s a nice fella albeit a bit odd. Huh, I thought he would have said it was due to the fact that Kirby has a simple moveset for learning how the game works and can copy abilities to keep learning all the characters. I guess the warp star explanation works though. EDIT: I'm a fool and must have stopped reading before the end of the article. It does go over his simple moveset. Forgive me for my elementary error lol. Yeah, he's right, the Switch isn't a great system and it can only handle Kirby's 3D model, that's why they picked him. The rest of the characters will be rendered as 2D sprites, and the more complicated characters like Bayonetta will be rendered as black and white 8-bit sprites. That's the only way they can guarantee a solid 20fps on the Switch. It's all clear to me now. It’s absolutely fair that Kirby is the one to make it out with that criteria in mind. The other options he listed would have been significantly more challenging (also, starting the single-player mode of a Smash Bros game with Bayonetta, of all people, would have been odd). @Mallow I'm so proud to share an avatar with you. @Octane But Smash will still be amazing on Switch compared to the 3DS version that was entirely sprites on a black background with screen flicker. Sakurai: "Guys Kirby is the only character that could survive this arbitrary fictional storyline I also conveniently made up." You heard it here folks! Everybody sell your switches! Smash is gonna bomb! It is only Kirby, no items, final destination. @cobalt Would programming really be a factor? All the characters are programmed into the single player campaign to be used as fighters, Kirby is an old familiar and it makes sense to pick up the little Pink fluff and start. I don't think they went "what's the easiest to program and start there" when they've all gotta be programmed into the same scenario and work on the same engine with multiple AI's. 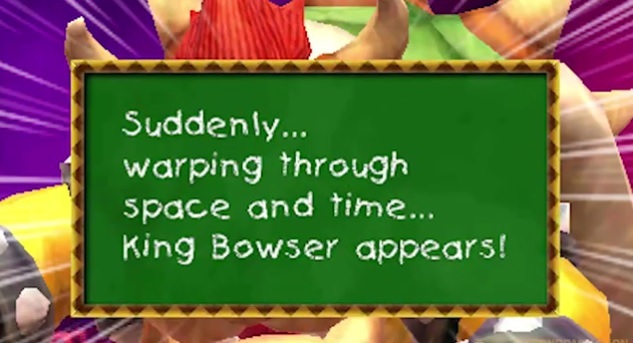 Ahem According to Yoshi's New Island Bowser can warp through time and space. So...what I'm hearing is that Palutena is still not that fun to use. @wiggleronacid But he did say that, right? It's in the article. I mean, from a game designer's point of view: "Sakurai reveals that it was important to make this first character be one that is "simple and easy to use", allowing players to ease their way in to the gameplay. Forcing players to jump right in with Bayonetta or Palutena would have made things unnecessarily difficult so Kirby was the natural choice." Because it's not in quotes I think some people didn't read this. The story is a bit of background fun and a decent explanation, but he'd have found a way to make it work towards an accessible character no matter what. He doesn't quite let on that he favors Kirby, but he has such an odd balance to pull off with this game and its somewhat crazy fans. I don't even quite get the need for optimization, there, to be honest. These characters already play at 60fps 8 to a screen, right? But maybe I'm missing some details about the mode. I always thought it was because Kirby can copy, thus giving players chance to try out other styles with one character? Kirby is basically Nintendo's designated cosmic eldritch horror buster. He took down Dark Matter, Nightmare, Dark Mind, Zero, Marx and his powers and the thing from Star Allies, among other things. He cleans up Metroids as a side quest! He's got this. Also his copy ability as mentioned above. Though having Bowser, Wario or another "bad guy" as the main character would have been interesting. There are characters on the Smash roster that can teleport. Fox, Falco, and Wolf are expert pilots, but are not in their Arwings (or Wolfen) and are trying to intercept an invading force on foot instead. The Warp Star's abilities are story dependent. It's been shot down by cannon balls before. He chose the character he made as the destined hero, that's fine enough. Trying to justify it beyond that is just bringing attention to the flaws in your own story. @Snow-Dust Kirbys Warp Star is binded to him, it comes when he Is in danger and it comes to him when he needs it most; destination, fun, and rescue. @Cobalt Right, sorry to burst your bubble but your argument just doesn't hold water. Maybe, yes, if you have experience during the Amiga days then the RAM was so small that the size of a model was pretty important to preserve performance. Here, I honestly wouldn't think that this would be a deal as although Kirby is a constant for the opening stages, if using other characters was too much of a drain then surely when other characters were unlocked then the adventure mode wouldn't perform well? Plus, I don't think the file size of Kirby's combined models, animations, etc (everything needed to play him) would be significantly smaller than other characters. Especially since Kirby has a bonus costume, move, sfx etc for every other character in the game. It might even be a larger file size due to that! -What did Cobalt say wrong ? Do I have the right to have a personal opinion or... ? Could you tell me how long have you been studying computer science? Your comment was so mindnumbingly naive that I refuse to believe it wasn't a conspiracy theory in an attempt to make the Switch seem like the N64 from a hardware specs perspective. @Cobalt I’ve been programming for about 8 years now with extensive use of Unity, UE4 and such while participating in coding jams and the like so I do have a knowledge of what goes into these sorts of big budget games because there’s definitely a push towards licensing an engine. Honestly, I understand the point you were trying to make from the perspective of an 80s home computer developer but those sorts of issues just aren’t as prevalent anymore. I’m hoping to get a foot in the industry within the next couple of years through my industrial placement so if anyone knows of any internships going let me know! And I thought it was because of his curb appeal. lol. kirb appeal. After what this man goes through for the fans he can play favorites all he wants. @Ryu_Niiyama he just might be. What is "The Smash Ultimate Apocalypse"? @Cobalt your entitled to your opinion but I'm going to trust the creator and designer of the game over the thoughts of a home programmer. To be honest, I see your posts a bit across NL and you come across as the "im always right" guy on most topics. You don't have to be that guy. Sometimes it's okay to read a story and be happy. Sakurai made the situation so only Kirby would fit. Sounds biased to me. Hey he just watched Lockstin's video! @Zimon Awwwwwwww yeah man! But literally Bayonetta should've lived right? Even though they say she couldn't travel to Purgatorio she still could have dodged it! "Other puffball beings like Meta Knight, Prince Fluff, and Jigglypuff were turned into Spirits, so there's no way Kirby could have survived." If only Sonic had a Chaos Emerald on him. Chaos Control has to be better than a Warp Star. What's easy about playing as Kirby, exactly? Not saying anyone is wrong, just legit don't know how he's easier than anyone else. Thank god Mario didn't survive. It would've been so predictable starting character. H Sonic is bound to the ground and can't escape a blast that engulfed an entire galaxy. Anyway, I'm pretty sure you meant the speed of sound. It's pretty amusing how much Chaos Control has evolved, went from teleportation/time freeze to dimension jumping to time travel. And 06 was heavy on the whole 'collect em all and you can make a miracle happen'. It's never really stated in Sonic X if they do switch dimensions or if it's just a far off galaxy ST Voyager style. Though I guess it's implied due to the slower time flow. Voyager doesn’t take place in another galaxy. It is in another quadrant of the MW. Gotta remember our galaxy is huge and we are in hicksville spiral arm orion. @nessisonett said " I’ve been programming for about 8 years now with extensive use of Unity, UE4 and such while participating in coding jams and the like so I do have a knowledge of what goes into these sorts of big budget games because there’s definitely a push towards licensing an engine. Honestly, I understand the point you were trying to make from the perspective of an 80s home computer developer but those sorts of issues just aren’t as prevalent anymore." The fact that today you give big engines to developers with a lot of RAM, with huge amount of storage and pre-made assets and librairies... yeah you basically don't ask them to work in a "clean way". I'm convinced that Nintendo is using the "oldschool way" still (Cf : my example of Zelda BOTW). "One Ounce of poo is enough to spoil a pound of caviar. An Ounce of caviar does not improve a pound of poo." So that's how physics work! My family and I thought it was awesome that Kirby was the lone survivor. It was unpredictable and epic how it was shown in the cinematic. I can't wait to play this mode! @Jayvir Actually, they'll come out from no where and then disappear at the end of some stages in Mario 3. I just wanted a scene of duck hunt dog snickering just before being hit. So that is why they had Sonic try to save Pikachu. He could have made it out. The lore is good, but I'm also okay if it's simply because Kirby is Sakurai's baby. Dude has put so much time and effort into the Smash series, he deserves some leeway on stuff like this.